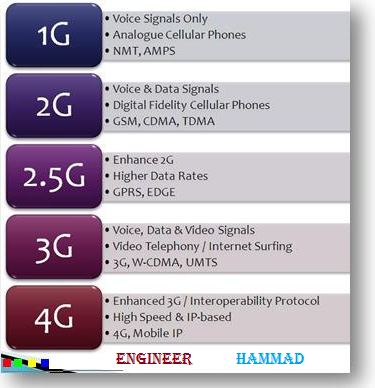 A complete difference between 2g 3g and 4g is so simple to understand, you can read and understand easily at engineer hammad blog. Where you can find more articles about telecom engineering. If you are searching about what is 2g 3g 4g , understand here G stands for generation of mobile network. Now a days mobile network operators are offering 4g and 4.5g services in different countries. In 2015-2016 4g and 4.5g is mostly used technology. 2g stand for second generation, it is a wireless telephone technology. 2g is also known as GSM (global system for mobile). If we talk about its benefits, there are 3 primary benefits of 2g. 2G system was significantly more efficient on the spectrum allowing for far greater penetration level. Data services like text messaging, picture messaging and mms was introduced by 2g networks. Now a day 2g is superseded by new technologies like 2.5g, 2.75g, 3g, 4g and 4.5g. However 2g is still used in many parts of the world. 3g is a term refers to third generation of wireless mobile networks. This short form (3G) is set by international telecommunication Union (ITU). 3g broadband offers greater flexibility and services and is more efficient then its predecessor 2g. Every one is shouting 4g, 4g. 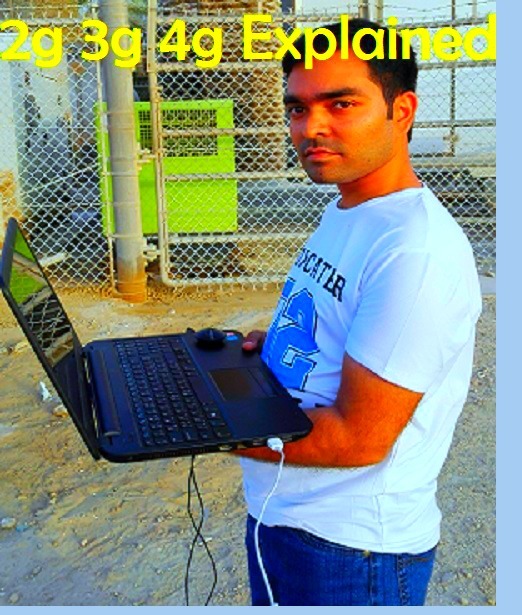 What is 4g? 4G is a fourth generation mobile networks technology as like 3g was third generation. 4G / LTE (long term evaluation) was arrived in UK for the first time in October. 4G LTE is offering for faster and more reliable mobile broadband internet for smart phones, tablets and laptops. Lastly 4G is 5 times faster then 3g. Theoretically we can get 100 Mbps in lab but its not in real life. the average speed you can get is 30 Mbps maximum is real. You can only use it on 4g internet supporting devices. what is Difference Between 2g 3g and 4g? As the name would recommend, 1G was the primary generation of mobile networks. Here essentially, radio signals were transmitted in ‘Analogue’ type and expectedly, one wasn't able to do a lot of aside from sending text messages and creating calls. however the largest disadvantage, however came within the variety of restricted network availability, as within the network was available solely inside the country. 2G networks on the opposite hand, were supported narrow band digital networks. Signals were transmitted within the digital format and this dramatically improved the standard of calls and additionally reduced the quality of information transmission. the other advantage of the 2G network came within the variety of Semi world Roaming System, that enabled the property everywhere the planet. Between 2G and 3G there was a brief innovate between wherever mobile phones became sleeker and a lot of ‘pocketable’ if we are able to call it that. this can be popularly brought up as 2.5G wherever the number of radio waves to be transmitted was a lot of lower. This successively had an impression on the form and structure of mobile phones. however most of all, 2.5G helped within the ushering of GPRS (General Pocket Radio Service). The third generation of mobile networks has become popular mostly because of the flexibility of users to access the web over devices like mobiles and tablets. The speed of information transmission on a 3G network ranges between 384KBPS to 2MBPS. this implies a 3G network really permits for a lot of information transmission and so the network allows voice and video calling, file transmission, net aquatics, online TV, read high definition videos, play games and far a lot of. 3G is that the best choice for users World Health Organization ought to perpetually keep connected to net. 4th Generation of mobile networks ar believed to produce several price accessorial options. additionally to any or all the 3G facilities, knowledge transmission is believed to travel through the roof with speeds move between 100MBPs to 1GBPS. Phew! Happy talking, surfing, conferencing, chatting, networking, partying, or no matter you would like to try and do on your cell phone. 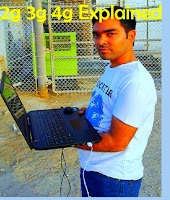 Difference Between 2g 3g and 4g, what is 2g 3g 4g, 2g and 3g difference, what is 4g, what is 3g, what is 2g, what is 1g.